Over the years, wedding cakes have evolved from simply being a representation of the first food the happy couple will share as spouses to being a stunning focal point of the wedding – the cake has become just as important as all the other elements of decor in the room. Your wedding cake can be a great place to incorporate your hobbies and passions as a couple, including your love for this beautiful city. Thankfully, there are quite a few amazing Chicago bakeries that can bring your cake dreams to life. 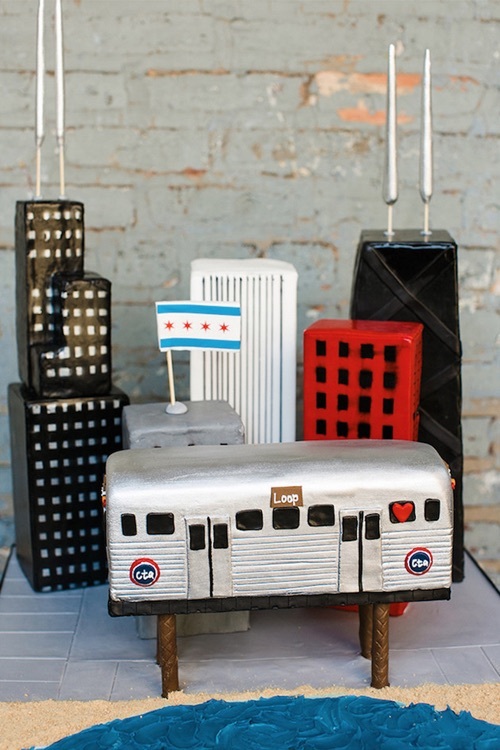 Take a look below at 10 amazing Chicago inspired wedding cakes to see the work of a few of our favorites. 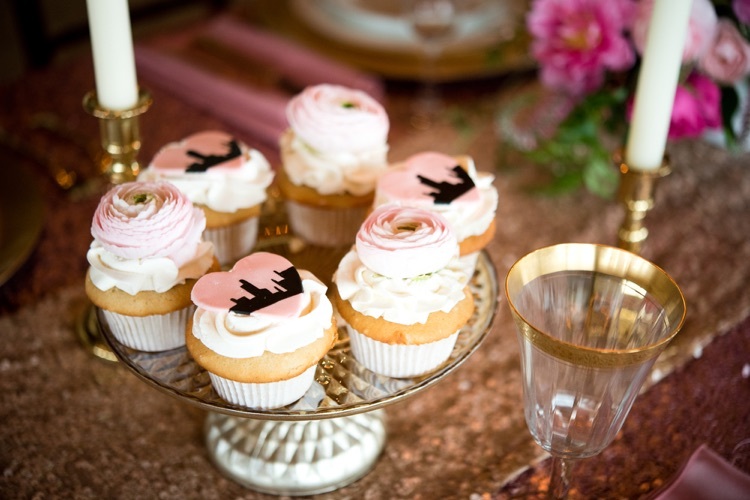 Don’t forget to head over to Married in Chicago’s Desserts page to connect with the best bakeries and cake designers today. 1. Blackhawks, Cubs, Bulls, Bears, Oh My! Who says you can’t have a little fun with your wedding cake? We love seeing couples put their own twist on a classic wedding tradition. This beautiful four tiered cake by Amy Beck Cake Design is a real showstopper. A great example of a couple taking what they are passionate about and incorporating it into their big day. 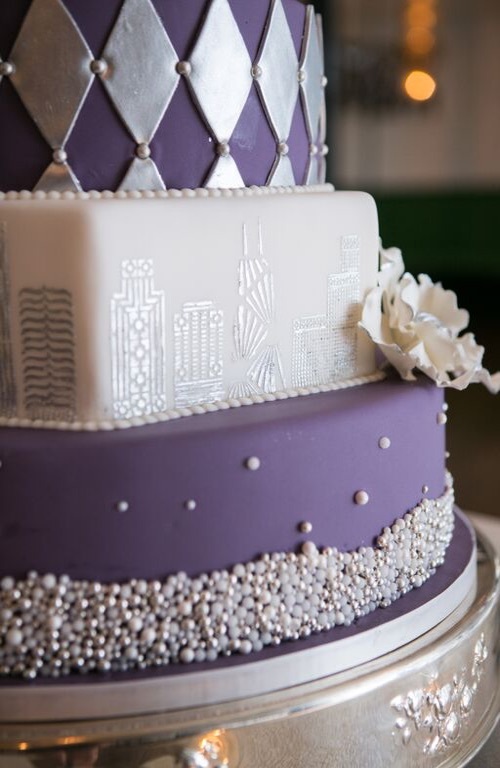 The attention to detail on this cake is amazing and the end result is a truly gorgeous art deco take on our famous Chicago skyline. The shapes and the tiny pearls combined with the silver & purple color pairing is breathtaking. The team at Elysia Root is amazingly talented. 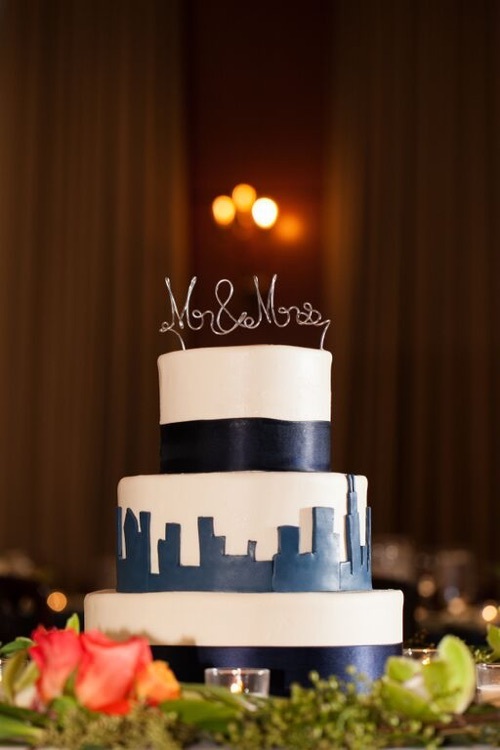 So, it comes at no surprise to us that they would, not only incorporate the skyline into a couple’s wedding cake, but they would actually bring the skyline to life! Almost looks too good to eat…almost. 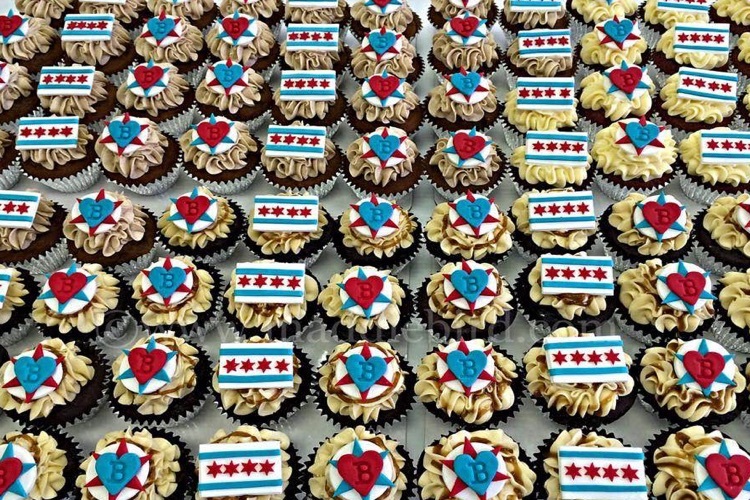 Take a look at these Chicago cupcakes – we love them! The cupcake has quickly become a favorite at weddings. They are easy to grab and go on your way over to the dance floor – great for couples that want to shorten dinner service a bit so the band can start doing their thing. Want to hit it out of the park and really impress your guests? Well then, we recommend you consider something along these lines. 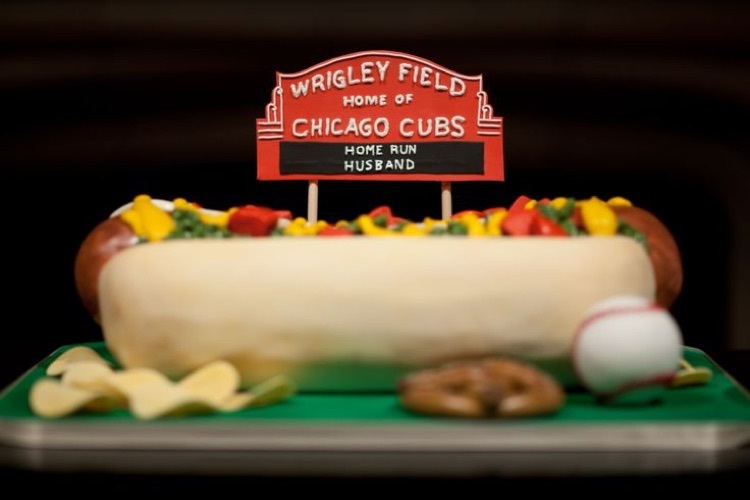 Again, Elysia Root goes above and beyond – recreating Wrigley Field. Such an iconic Chicago landmark! This modern cake is just impressive – a focal point at any wedding, for sure. 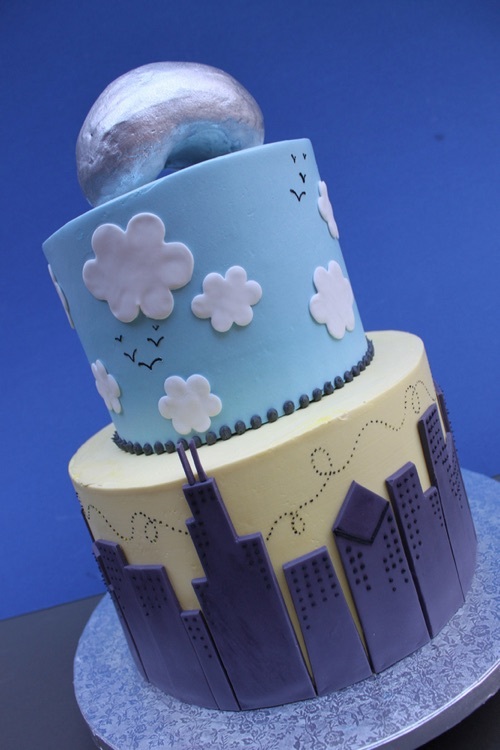 The Chicago skyline that encircles the bottom tier fits so perfectly on this elegant cake. Bittersweet never disappoints – their cakes are as tasty as they are beautiful. Cloud Gate – a.k.a. The Bean – was constructed in 2006 and very quickly became a very popular Chicago landmark. 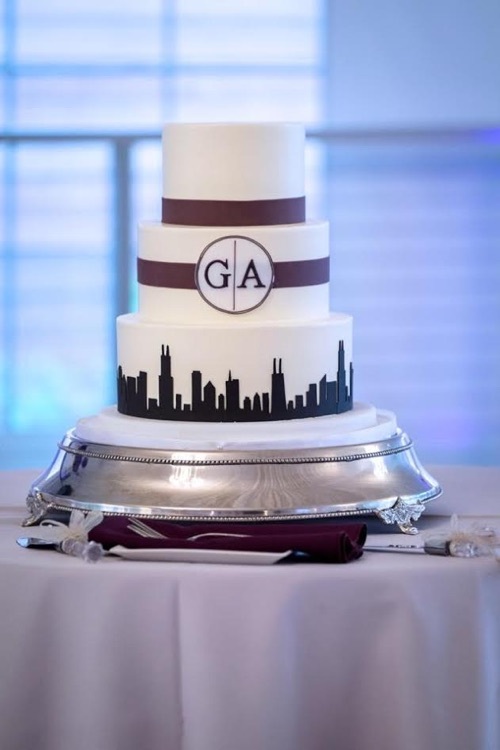 We love how Alliance Bakery used it as the cake topper on this fun Chicago wedding cake. Their cakes just make us happy! Love this sleek, navy blue & white, tiered wedding cake. 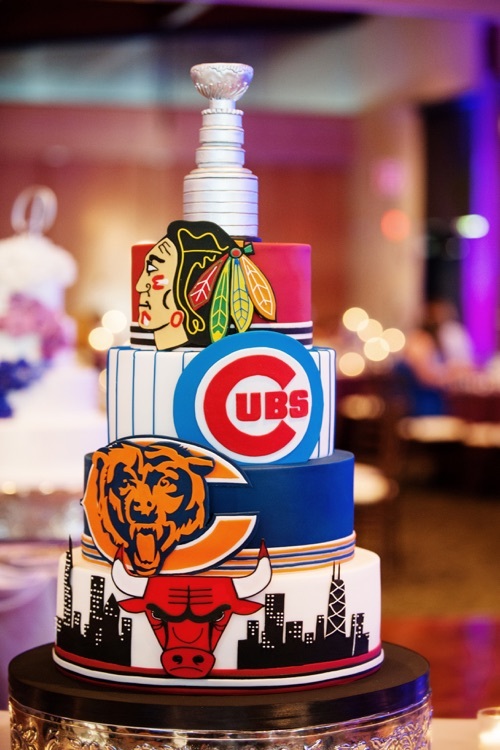 A formal cake for a very formal Chicago wedding. Sweet Mandy B’s makes a cake that will leave your guests wanting seconds, maybe even thirds. … and you can eat cookies! We get that not everyone is a big fan of cake but, what’s a wedding without dessert? Plenty of other options out there to satisfy your sweet tooth while still showcasing Chicago. 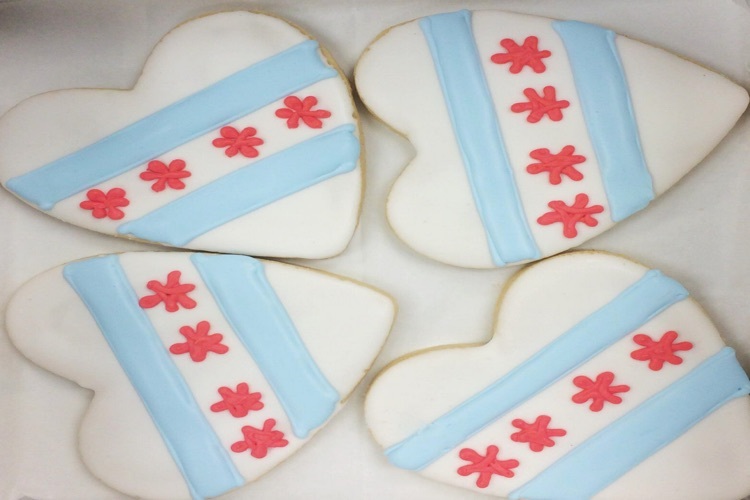 These cookies featuring the Chicago flag by Lovely Bake Shop are great! 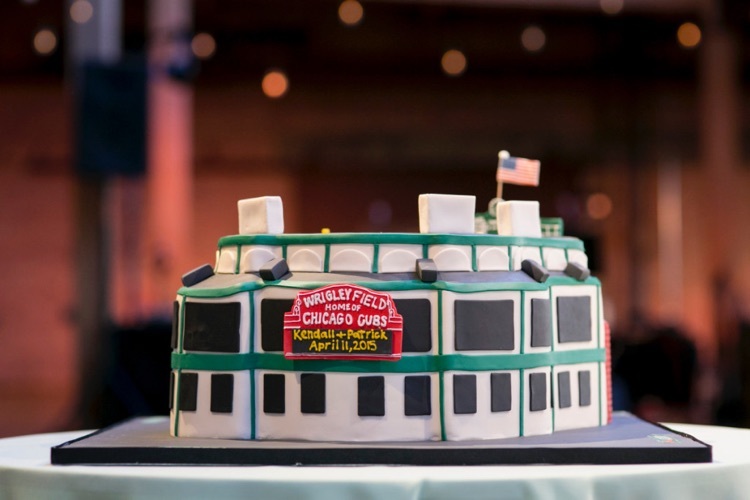 Head over to Married in Chicago’s Dessert page to connect with some of the very best Chicago bakeries and custom cake designers!